"Music is above words; it begins where words no longer suffice, therefore it would be futile to attempt to bring music closer to listeners by means of explanation"
"[Rheinberger is an] ideal teacher of composition, one whose equal is not to be found inside or outside of Germany." "His guiding precept was always naturalness in music, reflected in his voice leadings, his feeling for form and his means of expression." Josef Gabriel Rheinberger (March 17, 1839 - November 25, 1901) had an unusually successful career spanning more than 45 years, and encompassing nearly 200 published compositions. In the early part of his career, he also built an illustrious reputation as a virtuoso pianist and organist. Later in life he became a sought-after teacher of composition as well as the organ. Though he was born in the principality of Lichtenstein, he spent nearly his entire life in Munich. First as a student, then as a virtuoso and promoter of opera (he was involved in the first performances of Wagner's "Tristan und Isolde" and "Die Meistersinger" by the Royal Opera), and finally 33 years as professor of counterpoint and organ at the Royal School of Music where his notable students included Engelbert Humperdinck, Ermanno Wolf-Ferrari, Ludwig Thuille, Wilhelm Furtwängler, and the Americans George Whitefield Chadwick and Horatio Parker (the teacher of Charles Ives). Rheinberger was something of a prodigy and began playing organ and composing at the age of 7. At 12 he was admitted to the Academy of Music in Munich where he studied with Franz Lachner, a close friend of Franz Schubert, and by the age of 15 he was gainfully employed as an organist. Prior to his first published work at the age of 20 (Four Piano Pieces, Op. 1), he had composed over 100 works. He went on to establish a name for himself as a virtuoso keyboardist, but his performing career was ended by a disease which permanently affected his right hand. At the age of 28, his career as an educator began with an professorship at the Royal School of Music, where he stayed until 1900. In addition to his teaching responsibilities, he was a dedicated researcher and advocate of ancient music, particularly for the keyboard. His acquaintance with older forms had a profound effect on his own compositions. His many works for piano and organ, which were promoted by many virtuosos of the day including von Bulow, reflect not only the influences of 19th century composers – Schubert, Felix Mendelssohn, Robert Schumann, Frédéric Chopin and Franz Liszt – but also of Johann Sebastian Bach. 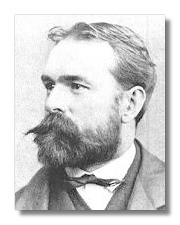 Rheinberger was one of the few prominent musical figures of his time to successfully avoid the Wagner/Brahms debate, and in the process maintain close and fruitful contacts with composers in both camps. Though he himself was much more of a Brahmsian with respect to his own compositions, he nevertheless recognized and promoted the music of Liszt, Richard Wagner and many others. Many are attracted to Rheinberger's music for some of the same reasons they are attracted to the music of Johannes Brahms. Rheinberger had many of the same influences and a very similar aesthetic sense. His music is very finely crafted in a classical vein – "absolute" music that generally avoids overt extramusical programs or connotations. This, combined with his fine sense of melody and finely balanced harmonic development, is what sets him apart from many of his contemporaries. He was also quite original, considering the relatively restricted idiom he choose. Consider a list of some of the major composers who lived and worked at about the same time (Brahms, Max Bruch, Fuchs, Goldmark and Goetz are the only major German/Austrian composers born during the same period – 1829-1849) and surely Rheinberger is the second most talented and influential composer of the group. His musical voice is also distinctly different from the other major composers of his generation such as Anton Rubinstein, Alexander Borodin, Camille Saint-Saëns, Piotr Ilyitch Tchaikovsky, Antonín Dvořák, Emmanuel Chabrier, Mili Balakirev, Edvard Grieg, Nicolai Rimsky-Korsakov & Gabriel Fauré. Some similarities to Saint-Saëns in the chamber music can be seen, but the correspondence is not strong.